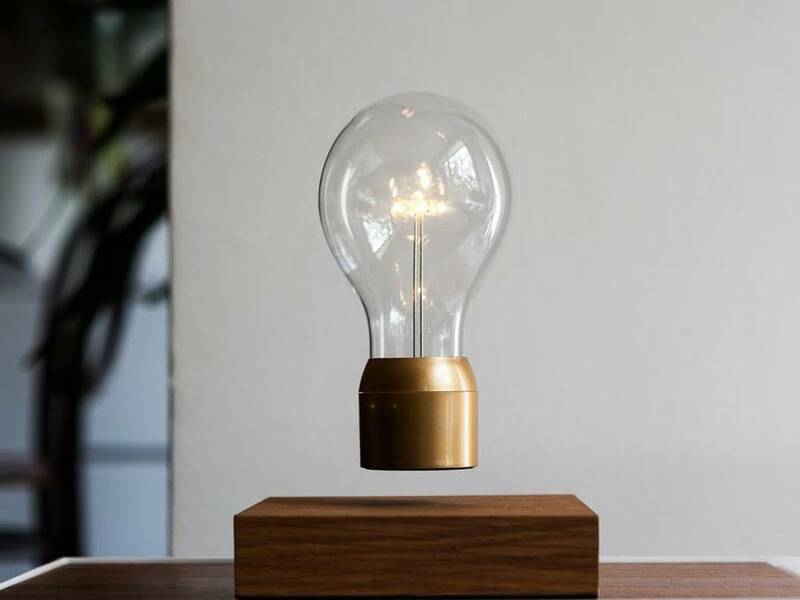 The clever people at Flyte in Sweden have created this fascinating decorator item which hovers by magnetic levitation and is powered through the air via induction. They use energy efficient LEDs that should last 50,000 hours. There are a number of styles in the range. The timber bases come in quarter-sawn finishes of either ash, oak or walnut and the lightbulb caps in chrome, gold and copper. Even the cords add to the retro style. Not a bad idea as a gift for the person who has everything. Or the person who loves something a bit different, left of field and a bit quirky. They will be available from December for delivery to Australia, so if you pre-order now, you may receive it in time for Christmas. Find other lighting suppliers using our home improvement directory.